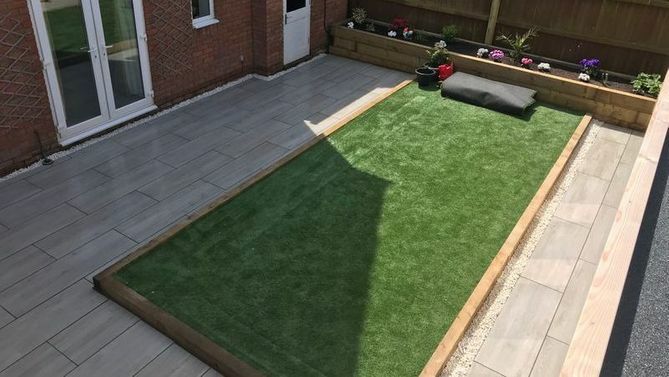 Here at LG Landscapes Ltd, our priority is to ensure our work meets and hopefully exceeds your expectations, and we always go the extra mile to accommodate all your requests. Furthermore, we approach every garden renovation with the same can-do attitude. Read below to find out about the thoughts and opinions of some of our many satisfied customers. “So yesterday was officially the last day of our incredible garden transformation by LG Landscapes Ltd when they returned to do some final beautiful planting for us. We are over the moon with our new front and back gardens and we are still astonished by how big our garden actually is! We want to say a HUGE thank you to both Luke and Rhys for all their hard work (in all weathers I add!) to transform our completely overgrown and unusable garden into somewhere that we now want to spend time and are proud to show people. We have already managed two BBQs in spite of the great British summer since the project was completed and our son is VERY eager to get out and explore his new garden every day. Contact our professional team in Trowbridge, Wiltshire, to enquire about our range of landscaping services.